The Lochlan slipper is a cosy slipper that can be worn inside and out. The felted wool is soft, while the full Australian Merino wool lining is warming. 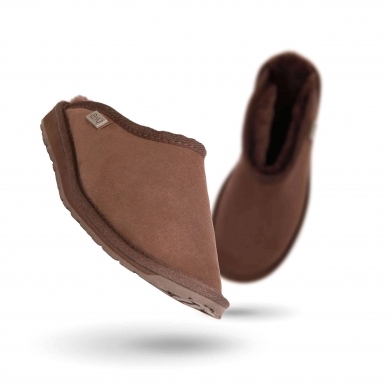 Featuring a moulded wedge insole, these slippers are comfortable supportive and cushioning. Durable, hardwearing and flexible gum rubber outsole.